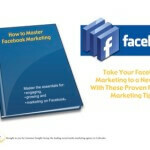 Facebook marketing is a strategic business promotion tactic. Facebook remains the most widely used social media platform by a relatively healthy margin: some 68% of U.S. adults are now Facebook users. With 1.52 billion daily active users on Facebook on average for December 2018 and 2.32 billion monthly active users on Facebook as of December 31, 2018, Facebook has a dominant market presence that will benefit your business. Using Facebook for business is important, but managing that marketing presence is imperative. Start with just one Facebook tip or dive right in and spend some time developing your page and getting to your audience quickly and easily. 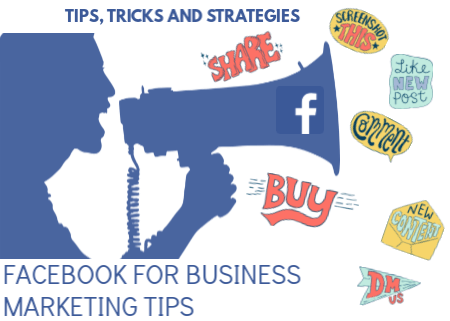 Create a business page, not a personal profile, for Facebook marketing. The two types of Facebook presences work differently. And Facebook’s Terms of Service prohibit using a personal account to represent a business. Customize your business Facebook page URL. When you first create a business page, it will have a randomly assigned number at the end of the URL. You will want to change that to your business name or motto. This will also make it easier for people to search for you or tag you on Facebook. Don’t forget a cover photo when you use Facebook for business. A great cover photo draws in visitors and makes them want to stay on your page and come back for more. Periodically change your cover to reflect your business. Be sure to add a description to your cover photos. This should be a keyword rich and relevant description of your brand and add a link to your website or blog. Include an engaging profile picture. This could be a photo of you as a business owner or entrepreneur, a photo of your top product, or your company logo. Save the file as a PNG for best results. Write a descriptive “About” section to introduce visitors to your business and let them know exactly what you can do for them. This is a great place to include relevant keywords and phrases, make sure it concisely describes your business. Facebook Stories, is a new way of sharing something with your followers. They are basically another News Feed, but one that highlights visual rather than written information and they only last for 24 hours. A little known Facebook tip is to add milestones if your business has won awards, has made announcements or press releases, or has other accolades. Use the Call to Action button to encourage visitors to shop or visit your website and link to web pages with products and services. Let them know what actions they can take as your customers and make it easy for them to do so. Templates and Tabs. This is where you can customize your page with different sections such as posts, photos, reviews, etc. You can also turn on or off and rearrange some of the tabs. Add custom tabs like Pinterest, Twitter, and Instagram to encourage visitors to stay on your page and engage with your brand and content. Optimize your posting times for the highest engagement with your brand. Although there are studies about optimal posting times such as 3:00 pm on Wednesdays, as well as Thursdays and Fridays, test posting times for yourself to find out what works best for you and your brand. Got a business blog? Post blog content of interest and value to your audience. Your blog does double duty and reaches far more viewers when you post it to your business Facebook page. Post lots of photos, infographics, and other visual material. Not only does it get better engagement, but it also auto-populates the “photos” tabs on your page, giving visitors more to do when they visit your page. A Hubspot study found that Facebook posts with images see 2.3X more engagement than those without images. Format your images properly for the best presentation. Check out Facebook’s guide for images, but be sure to use these common formats. Cover photo’s should be 820 px wide by 312 px tall and profile images should be 170 px wide by 170 px tall. Be sure to post videos, and consider how to use Facebook Live, a live streaming video feature that lets you post live video feed on your page. Facebook Live lets you see comments and likes in real time from viewers while sharing product and service information or business events with live video. The average engagement rate for Facebook video posts is 6.01%. Use creative posts to highlight your employees, new products or services, or your company’s history. For instance, Throwback Thursday (hashtag #TBT) posts for photos of your early days in business help your audience get to know and understand your business better. Use the Admin Panel on your business Facebook page to access Facebook Insights. Learn what posts get the most likes and shares to continuously improve on engagement. Keep consistent posting by preparing and scheduling posts in advance so you never miss an opportunity to engage your audience. 39% of users like or follow a Facebook page to receive a special offer, and one-third (32%) of Facebook users engage with brands regularly. Make it easy for your followers to show how much they like your page and your business by adding social media buttons to your website. The Facebook Like Box, Follow Button, and Share Button all give your followers the ability to easily push your posts out to their friends and family, extending your social media reach and influence. 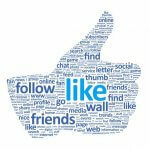 Use Facebook advertising to extend your reach beyond your current followers and get more eyes on your page and posts. Promote your page in your other social media, on your website, and in any print materials such as business cards, postcards, invoicing, and signage. Another tactic you could use to get more traffic is social media influencers. 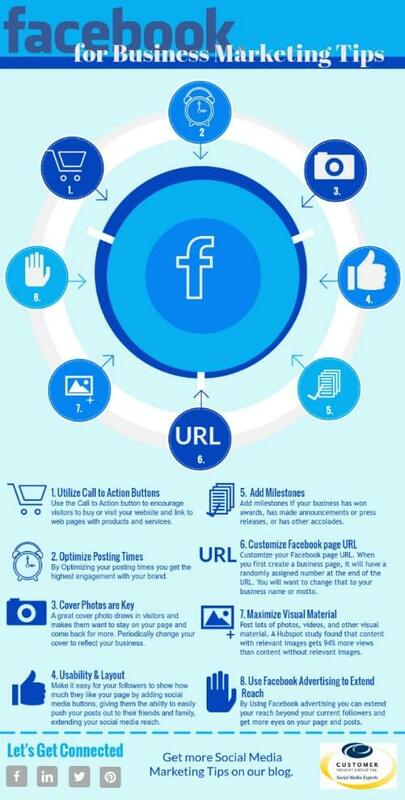 These power users can drive traffic to your Facebook page with the right strategy in place. According to the Digital Marketing Institute, not only do 49% of consumers depend on influencer recommendations but 40% had purchased something after seeing it on Twitter, YouTube or Instagram. A tool that continues to help brands find true influencers in their field is BuzzSumo. 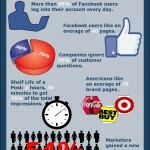 Leverage friends of fans by encouraging customers to check in to your business on Facebook when they visit. Ask your fans to share a post about an event or a sale, then their friends will see it too. Overwhelmed? Don’t despair. Start with these 8 key tactics, test what works for your individual business and brand, and make changes as you learn. Become an insider with access to social media marketing best practices, marketing trends and the latest buzz sent right to your inbox. Sign-up today and stay on top of the ever-changing social media marketing landscape. © Copyright 2018 Customer Insight Group, Inc. All Rights Reserved.